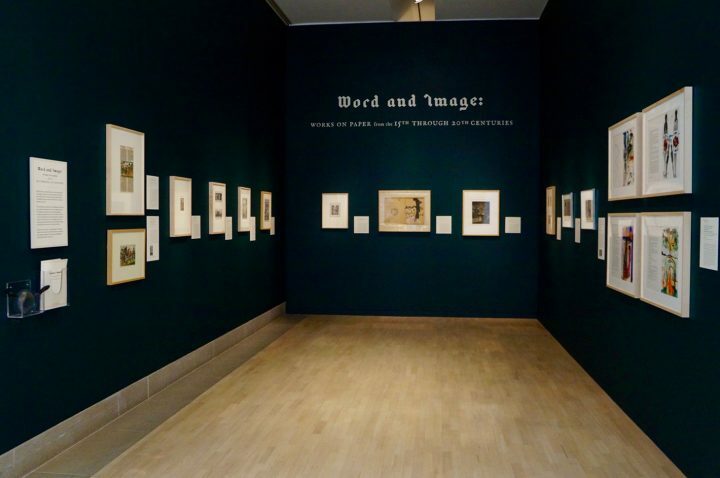 Word and Image at the Dallas Museum of Art emphasizes just how varied the art and technology of print can be. DALLAS — When Johann Gutenberg introduced a mechanical, moveable printing press to the European world around 1450, his invention revolutionized the way that information travelled. Gutenberg’s moveable type meant that text could be assembled, printed, and disseminated faster than one-off, hand-scribed documents; it also meant that text could and would be introduced to readers on a scale that was unprecedented in the history of putting ink to paper. Mass production of print introduced a new relationship between art and text, one that would be different than the tradition of medieval illuminated manuscripts. For the next 500 years, printers and artists would negotiate how art and text could co-exist and, more interestingly, how the two could co-evolve. At the Dallas Museum of Art, the exhibition Word and Image: Works on Paper from the 15th Through the 20th Centuries shows just how varied the art and technology of print can be. The exhibit’s earliest pages are biblical and historic, representative of the mass-print projects of the 15th century. Word and Image includes a page from the Cologne Bible, printed in the late 15th century, and the first bible to be printed with more than 100 artistic miniatures that break up the blocks of text. (This set a precedent for European bibles to have illustrations printed into the text.) 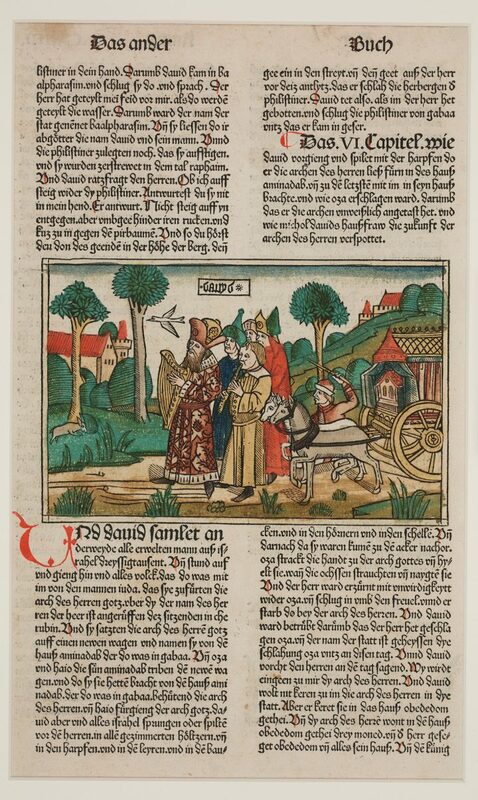 There is also a page from Liber Chronicarum (the Nuremberg Chronicle) illustrating “The Drunkenness of Noah,” which was printed in 1493 using a woodcut press, rather than moveable type; the illustration of Noah with his sons was hand-colored using watercolor pigments. Also on display are Jacques Callot’s illustrations of “The Miseries and Misfortunes of War” (1633), poignant etchings of the human suffering associated with Europe’s Thirty Years War (1618-1648). 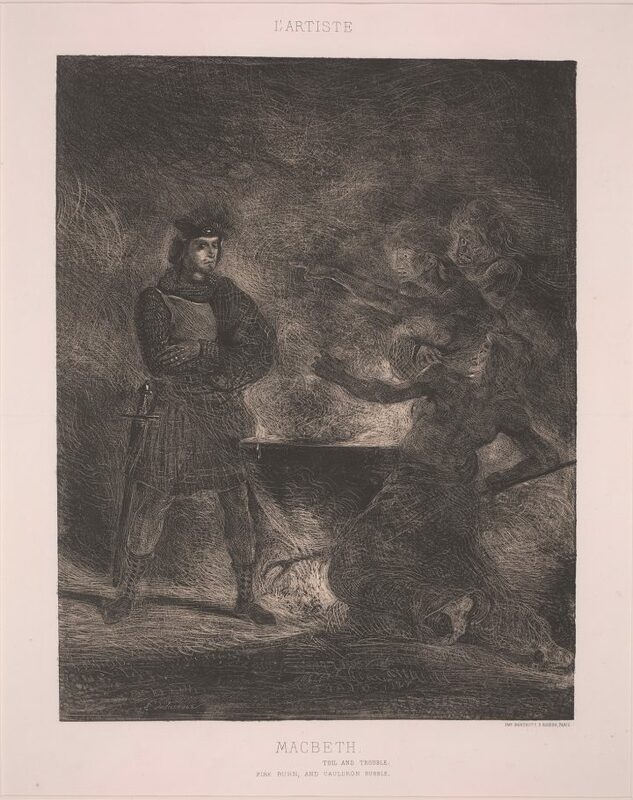 Callot’s original illustrations were etched on metal plates, and when the pictures were printed, explanatory text and critique was inserted below the images. Whether to simply illustrate the printed text or to serve as a visual text itself, the pages on display make it clear that one without the other would leave both poorer. The exhibit’s 20th-century printed pages show the continuing evolution of text and illustration as part of the history of print. 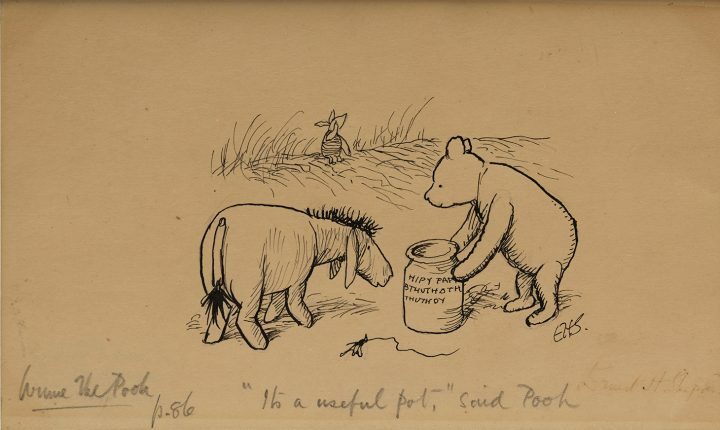 Sketches from Ernest Howard Shepard’s Winnie-the-Pooh illustrations remind audiences that, before an illustration can be mass-produced, it must be drawn. The handwritten notes on the sketch — “‘It’s a wonderful pot,’ said Pooh,” and “p. 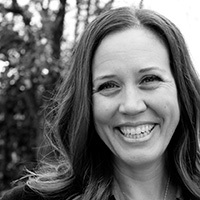 86” — show how art and illustration is a planned part of a printed book. 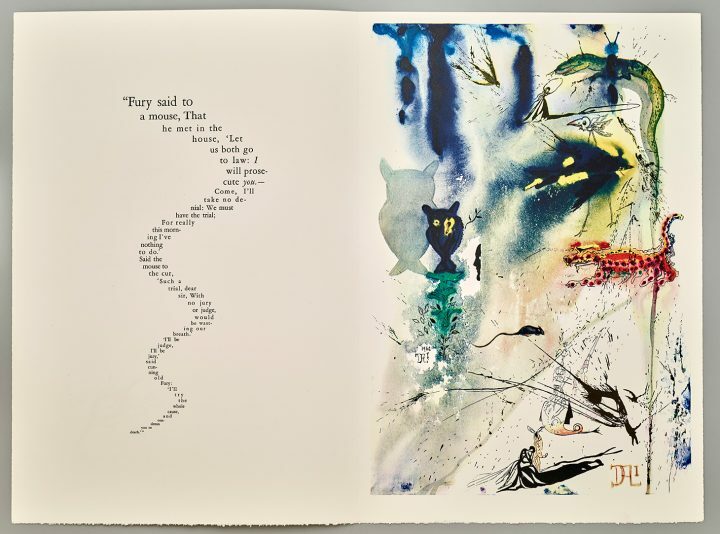 And Salvador Dalí’s illustration of Alice in Wonderland is, well, everything one might expect from Dalí imagining Alice’s adventures — bright colors, melting objects, surreal images creating a feeling that accompanies the text rather than drawing a specific story. Print, however, isn’t a simple thing — a point that Word and Image highlights throughout the exhibit. What we call “print” is really hundreds of decisions about paper, ink, and how to combine them. It’s about choosing handwritten script in earlier medieval centuries or opting for text produced with a press in the post-Gutenberg eras. It’s whether a page ought to have one color or many and about how that color is put onto the page. Print includes the various methods and alchemies of making inks stick to a page and how well those inks endure over centuries. (Water based ink, for example, doesn’t adhere as well as oil-based ink to metal, moveable type.) It’s about how durable the text needs to be — how many years it’s expected to be read — that in turn determines the quality of paper a printer uses. Print is the art and technology of how to put text on paper and then to have audiences read it. Word and Image shows that this relationship between text and audience has been experienced in a number of ways throughout printed history. One of the interesting and subtle themes that underscores Word and Image is the unending iterative-ness of print’s mass consumption. Not only were the various printed materials on display originally printed to be read by mass audiences, the pages are being viewed en masse by today’s audiences. These printed pages have been turned into singular objects by virtue of the museum collecting, framing, and putting them on display. On display, these pages once again become objects of mass consumption. Word and Image emphasizes that a page — any page — can be read and reread many times, and in many ways, over the course of its own life history.